Dr. Palmer obtained his Dental degree in the top 5 of his class from the Medical University of South Carolina in 2005. At graduation, he was awarded the Award for Fixed Prosdontics, Periodontics and Dental Research. 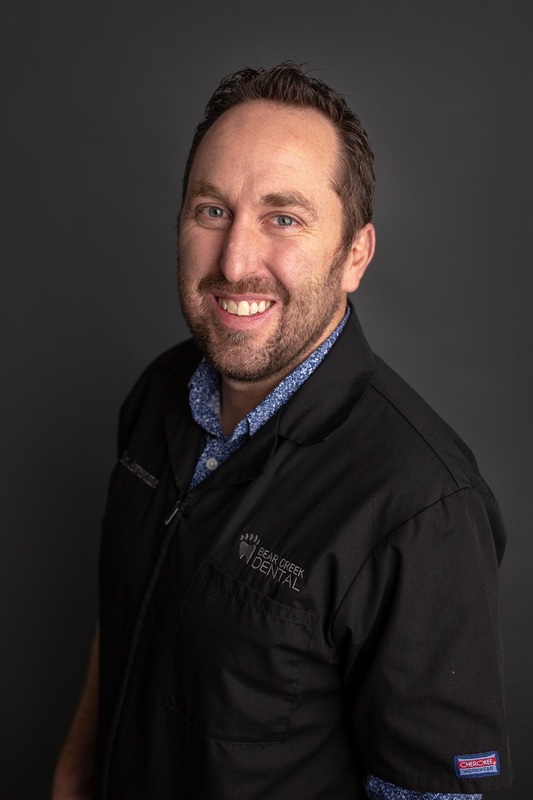 After Dental school, he began his dental career in Calgary, Alberta, working as an associate and soon after, started his first clinic in South Calgary. Dr. Palmer currently divides his time between clinics in Grande Prairie and Medicine Hat. Dr. Palmer has put numerous hours into continuing education where he has gained Certification in IV sedation, BoTox, Implant placement, Invisalign, and Root Canal therapy to augment his current skills. Aside from his professional life, Dr. Palmer enjoys spending time outdoors with his family Skiing in the winter and hiking in the summer. Dr. Palmer strives everyday to try and make the dental experience as light hearted as possible. Whether it a balloon animal or singing you a song, there is always something to make you smile.